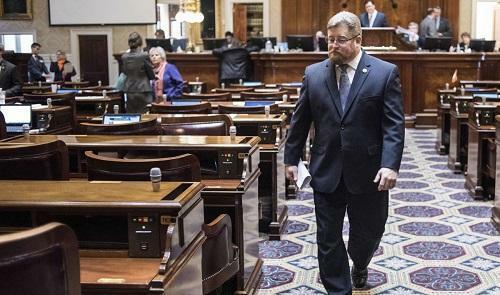 COLUMBIA, S.C. (AP) — South Carolina Rep. Eric Bedingfield once shunned all marijuana use, but when his eldest son's six-year struggle with opioid addiction ended with his overdose a year ago, the conservative Republican co-sponsored medical cannabis legislation. "My mindset has changed from somebody who looked down on it as a negative substance to saying, 'This has benefits,'" Bedingfield said recently. The 50-year-old teetotaler believes marijuana may effectively wean addicts from an opioid dependence. Ultimately, the Marine veteran hopes medical marijuana can be an alternative to people being prescribed OxyContin or other opioid painkillers to begin with, helping curb an epidemic he's seen destroy families of all economic levels.